If you’ve ever stared at a blank page trying to come up with a first sentence, then you know how useful it can be to have something to jump-start your story, a kernel around which the narrative can form. That spark can be a plot hook, but it can also be something from just outside your door. The real world is full amazing stuff begging to be used in your story. For example, take these eight beauties. Deep beneath the ice of Antarctica, there lies a dark shape untouched by the eyes of man. No, it’s not an alien spaceship; it’s a subglacial lake first theorized by Russian scientists* and physically discovered in the 1990s. It’s the 4th or 6th largest lake in the world, depending on how you define what a lake is, and it’s completely covered by four kilometers of ice. Because it’s in the middle of Antarctica – a place not known for balmy days – it’s impressive that the water is liquid at all. The most likely explanation is heat from geothermal vents, but there’s still a lot we don’t know about Vostok and other subglacial lakes. What’s more, Vostok is very likely to contain life. We can’t say for certain yet, but the odds are getting better every day as scientists continue to look at the data. This would be an ecosystem completely cut off from the sun* for millions of years. It’s an environment not dissimilar to that of Europa. If life can exist in Vostok, why not on Jupiter’s frozen moon? 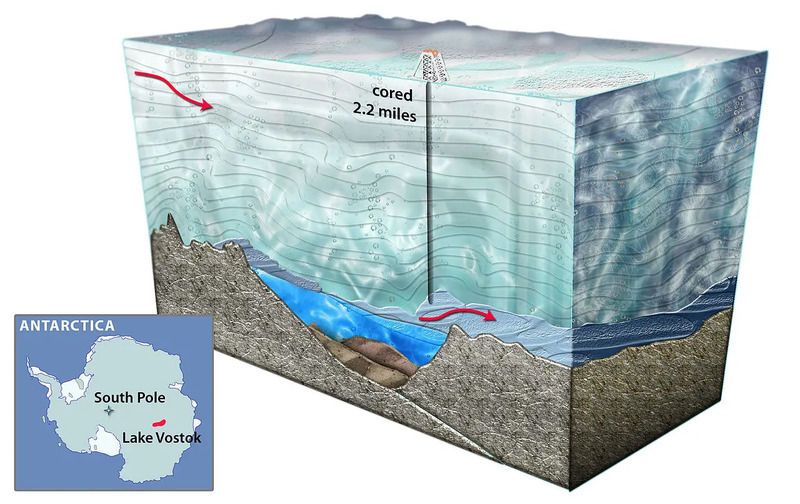 The potential for Vostok is as deep as the ice that covers it. As an ancient body of water hidden away from the eyes of humankind, it practically screams Lovecraftian Horror. Who knows what could be down there, waiting in the dark. If eldritch monstrosities aren’t your thing, Vostok and other subglacial lakes could be the last viable sources of fresh water in a dystopian future. * The microbial life within it could hold the key to curing major diseases or, on the flip side, might cause entirely new ones. There’s even a political aspect to explore. Right now, Russian scientists are using drilling methods that environmental groups say will contaminate the lake. The Russians deny it. Who wouldn’t want to read a story from the POV of a UN official who suddenly has to deal with a bunch of angry scientists? We’re all familiar with regular lighting which, despite its awesome power, is a bit overused in fiction right now. * Ball lightning is something entirely different. The scientific community wasn’t sure it even existed until very recently, and the exact causes are still a mystery. Ball lightning manifests as brightly glowing, superheated spheres that float through the air and occasionally explode. It isn’t actually lightning, but it does often occur during thunderstorms. 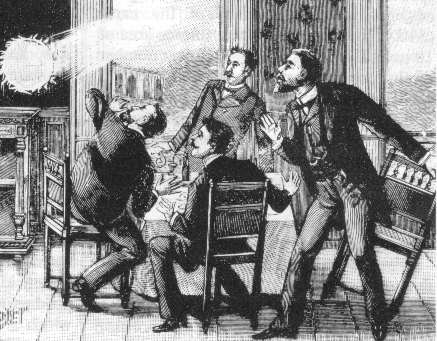 While many people have seen ball lightning, it’s extremely difficult to document because it always disappears without a trace. The most popular among many different hypotheses is that when lightning strikes the ground, it sometimes sublimates silicon into luminous orbs of fire. So far, nothing has been tested outside the lab, so ball lightning remains a mystery. How it can supposedly pass through solid materials is even less understood. Where do I even start? The fantasy authors among you will already be imagining fey creatures popping in from realms beyond our own. Sometimes they’re relatively friendly, only wanting to observe us silly humans and maybe bask in our adoration. Other times they’re angry and spiteful, inflicting injury or worse on those who disrespect them. For the more science fiction oriented among you, just imagine what a mad scientist could do with weaponized ball lightning. If the claims about it are true, ball lightning can appear out of nowhere and phase through walls. Your heroes will be in a pickle when they come up against Dr. Aura and her Ghost Fire Cannon. Urban fantasy street mages would make great use of ball lightning as well. What better way to disguise a sorcerous duel than to hold it in a thunderstorm? Space might look like a cold and empty vacuum completely devoid of activity, but it’s actually full of stuff that will absolutely ruin your day. One of those is the solar flare, an event in which the Sun gets super hot and sends a blast of radiation and stellar matter* into space. 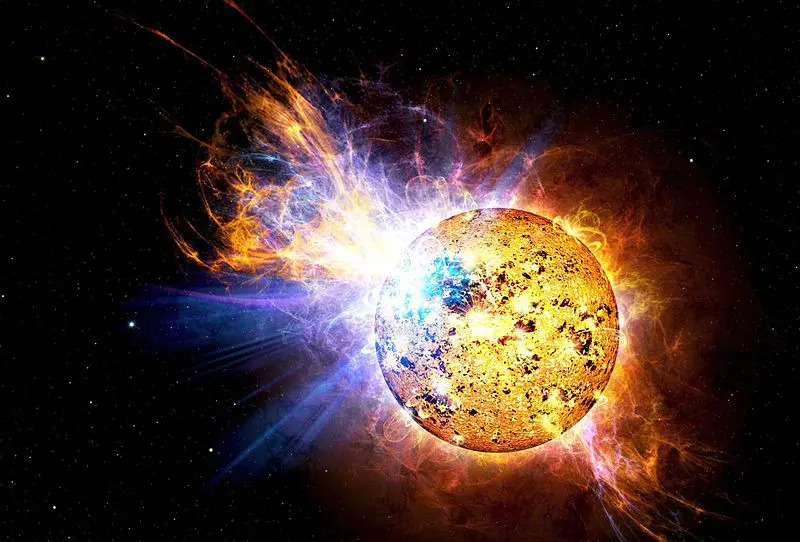 When the flare reaches Earth after a few days traveling through space, way faster than any modern spaceships can travel, it damages electronics and interferes with communications. The effects are usually minor because Earth has a beefy magnetic field protecting it, but those aren’t exactly sold at the corner store. Other rocky planets like Mars and Venus don’t have them, and generating one aboard a spaceship is difficult. What’s more, not all solar flares are created equal. A solar “superstorm” almost hit Earth in 2012, and it could have caused damage on a massive scale. If your characters are in a spaceship and you need something to go wrong, the solar flare is your friend. Because the flare mostly damages electronic systems, they can disable the ship while leaving it intact for your surviving characters to explore. A space colony would also be highly vulnerable to solar flares. As mentioned earlier, Mars and other planets lack electromagnetic fields to protect them. Imagine the drama as Mars Base One tries to prepare for an oncoming flare and the desperation as they struggle to survive in the aftermath. 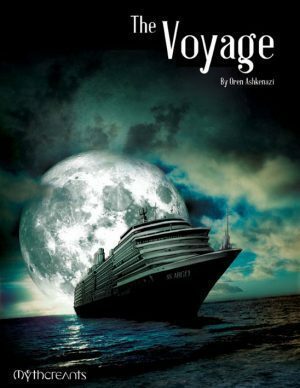 If solar flares aren’t deadly enough for you, then feast your eyes on this space horror. 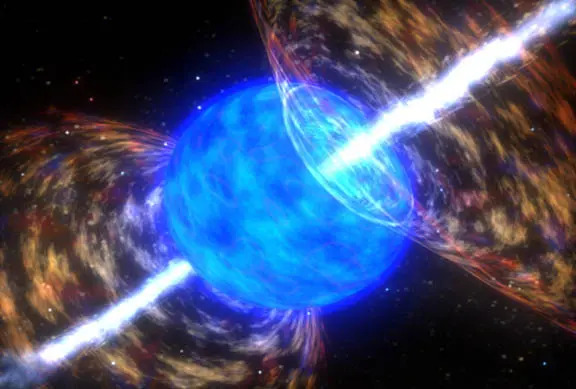 A gamma ray burst (GRB) occurs when a massive star collapses, sending a (relatively) narrow beam out into space. The beam is made of – you guessed it – gamma rays. Those gamma rays, traveling at nearly the speed of light, are deadly to life as we know it. Earth’s electromagnetic field would be as good as tissue paper against this cosmological sniper fire. Fortunately for us humans, GRBs are extremely rare, and the only ones we’ve detected so far have happened in other galaxies. However, it is possible Earth was struck in the past. It’s hypothesized that the Ordovician–Silurian extinction event may have been caused by a GRB, wiping out much of the life that existed at the time. If Earth were hit today, the results would be catastrophic. Lethal radiation exposure would be about the best we could hope for. Even those on the side of Earth facing away from the GRB would be in serious danger, as the gamma rays would strip away the ozone layer and might even turn the atmosphere poisonous. The gamma ray burst is your one stop shop for a truly post-apocalyptic scenario. In order to survive, humans would need to tunnel underground or roam the wasteland in heavily shielded suits. Poison clouds would sweep over the land, and standing in direct sunlight for even a few minutes could be deadly. At the same time, humanity’s great cities would be left mostly intact, allowing for some great stories of exploration and rediscovery. 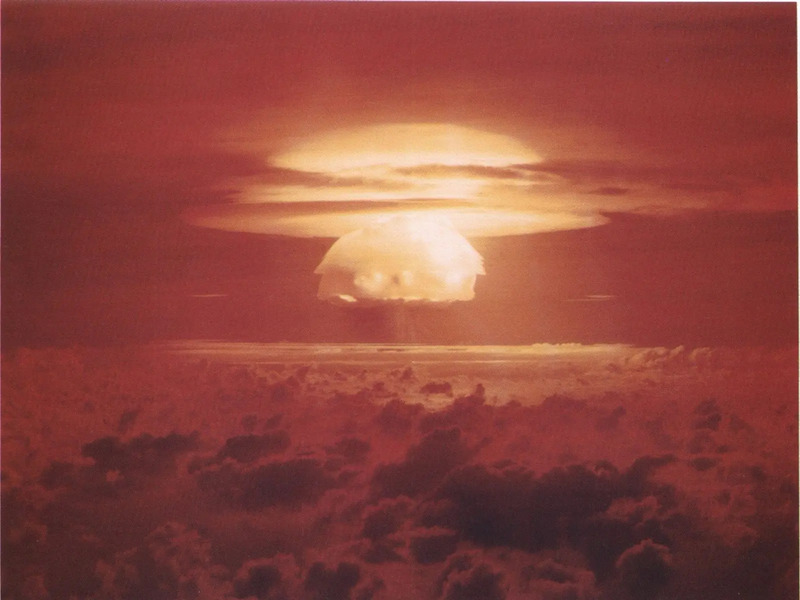 To put it mildly, nuclear fission technology changed human civilization forever. There were the bombs, of course, but equally important was the ability to generate a lot of electricity with relatively little fuel. * What if I told you that fission could be attained without any Manhattan Projects whatsoever? Sometimes it just happens on its own. Ok, so far we only know of one place where it happened for sure, and that’s in Oklo, the Gabonese Republic. Essentially, uranium ore gathers in sufficient quantities to reach critical mass. It then releases a whole bunch of energy into the local groundwater, heating it up until it boils out of the ground. The Oklo reactor ran for several hundred thousand years, although it was depleted long before humans arrived on the scene. Producing an average of about 100 kW, the Oklo reactor couldn’t hold a candle to modern power plants, but it would be an incredible amount of energy to a pre-industrial civilization. It would also be really dangerous, what with all the radiation being put out from the unshielded fission reactions. Alternate history potential abounds here. Societies are shaped by the level of energy they can produce. The Mongol Empire did well because of their great use of horses. Great Britain’s rise to world dominance was enabled by its ability to harness coal powered steam engines. In the modern day, nations gain influence and prestige through atomic power. Just imagine how an ancient civilization would look if it could harness the power of an Oklo type reactor. The Romans famously had access to a primitive type of steam engine, but they didn’t know what to do with it. Plug it into a nuclear powered geiser, and there’s some serious potential. Introduced at a later stage, a natural nuclear reactor could accelerate the development of fission power by leaps and bounds. Scientists would have had a working model to reverse engineer rather than having to start from pure theory. Imagine a world where the atom was split in 1842 instead of 1942. While there aren’t any active natural reactors on Earth,* there could certainly be some on other planets. If humans land on a much younger planet, such reactors could even be plentiful. When the fuel these colonists brought with them runs out, the battle for control of the world’s natural energy sources begins. Space is full of radio signals. 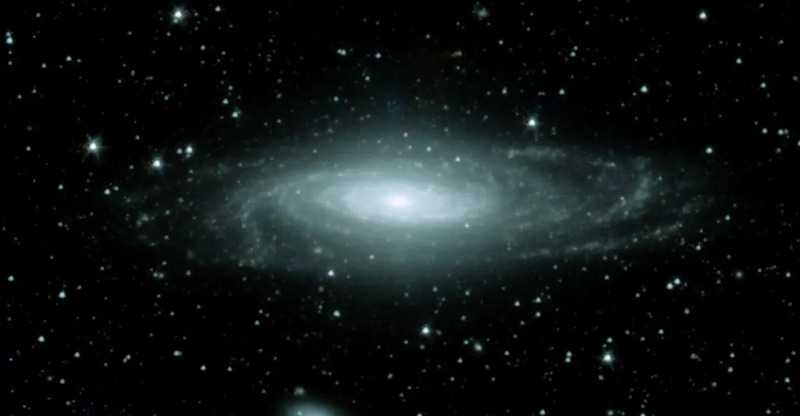 They’re sent out by stars and galaxies, and some are even left over from the Big Bang. Here on Earth we spend a lot of time picking up those signals, as they have much to tell us about the nature of the universe. * Equipped with more and more powerful telescopes, astronomers plumb the depths of space for clues about how the universe works. As of this writing, there’s no consensus on what’s causing the Space Roar. 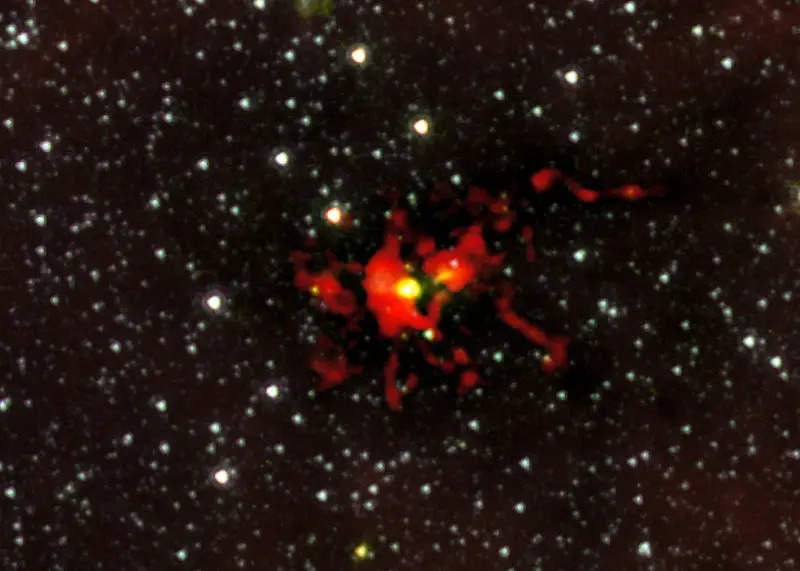 It could be leftover signal from the very first stars to form after the Big Bang; it could be interference from something called a radio galaxy;* or it may even be noise coming off giant gas clouds. All we know for sure is that somewhere out in the darkness of space, something is roaring at us. Perhaps, in the far future, human space travel is advanced enough that we dispatch a ship to the Roar’s point of origin. What could they find? A space-born monster? An ancient civilization with evil designs? Alternatively, maybe the Roar is getting louder. Whatever the source, it’s getting closer, moving in on our little island of light. What can humanity do in the face of such a threat? I don’t know, but I’d love to read a story about it! Bringing things back to Earth for a moment, let’s talk about Venezuela’s never-ending lightning storm. 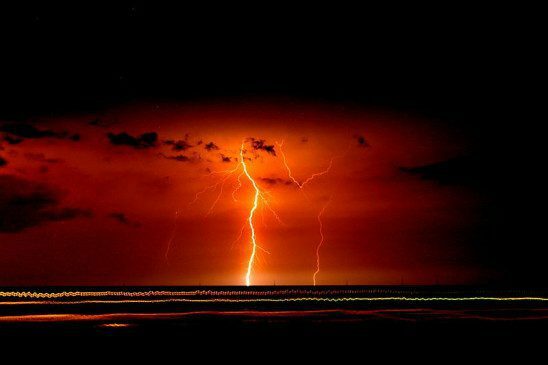 The Catatumbo Lightning is a phenomenon of intense lightning strikes that occurs almost half the nights of the year. It is by far the largest concentration of lightning in the world. Winds blowing across Lake Maracaibo gather lots of hot, humid air, which is a perfect recipe for electrical charge. When that charged air piles up against Venezuela’s high mountain ranges and has nowhere to go, lightning happens. And happens. And continues happening, for up to ten hours at a time. Permanent weather systems are a staple of the fantasy genre, and it turns out we’ve got one here on Earth! You could write an entire story just about what supernatural entity is causing these incredible storms. Gods are always a likely suspect, and the story of two storm deities battling it out for all eternity would be a great one. Human sorcerers could also be responsible. Maybe the lightning is a manifestation of some great spell meant to seal away an ancient evil. What if that spell is weakening? Recently, there was a short period where the lightning failed to appear because of drought. 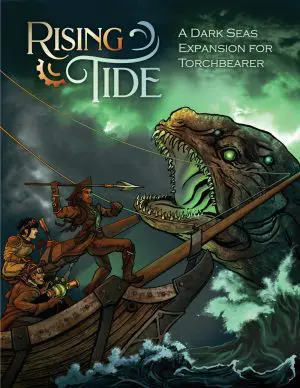 Your story could be about the desperate struggle of a few remaining mages trying to restart their storm prison. Even if the Catatumbo Lightning has no supernatural elements at all, it’s still a phenomenal power source. The idea of using lightning to generate energy is often discussed, and nowhere on Earth is it more plentiful. And wouldn’t it be a shame if some evil corporation was racing to harness the lightning for their own nefarious purposes? Despite what conspiracy theorists might tell you, there is as yet no credible evidence for intelligent life outside of Earth. That’s actually very strange. Current projections tell us that not only are there mind bogglingly large numbers of Earth like planets in our galaxy alone but also that there have been since long before our sun was a twinkle in its dust cloud’s eye. * Just playing the odds, there should be lots and lots of technologically advanced species out there sending out signals for us to detect. As far as we can tell, there aren’t. So, where are all the aliens? This is often known as the Fermi Paradox or, much more dramatically, the Great Silence. Numerous ideas have been put forward trying to explain it, but none are conclusive. It’s difficult to be conclusive when you’re talking about aliens. All we can say for sure is that if there are any technologically advanced life forms nearby, they’re keeping very quiet. Perhaps there is some force, a Great Destroyer, which goes around smashing civilizations when they get too technologically advanced. If so, surely it’ll be Earth’s turn soon. Consider the Destroyer’s motives. Maybe it’s an alien race afraid of being supplanted in the long run, so they nip potential rivals in the bud. Maybe it’s a machine left over from a long forgotten war. It could even be a natural phenomenon, though it would have to be massive in scale. There’s no shortage of other explanations to explore. Perhaps the galaxy is on some kind of cycle, where one space faring species at a time rises up to colonize the stars and then fade away. If so, there’s plenty of adventure to be had exploring alien ruins. Maybe we humans are the only species that uses radio waves for communication, and your story could be about the engineer who finally figures out how to tap into whatever the aliens employ. No matter what phenomena you choose to jump-start writing, remember to make it work for you, not the other way around. If it doesn’t fit your story, discard it. Use something from real life as a springboard; don’t try to force your story around it. It’s an ancient, mysterious object hidden away from humankind. Of course it was Russians. Melting the ice on top of it would take too much energy. As a scar, if nothing else. Read: what the Sun is made of. Just try to do better than Revolution. Quark always wanted his own moon; now he gets a star! Please allow four to sixteen years for the arrival of your gamma rays. Thank you for choosing Light Speed Delivery for your evil shipping needs. If it weren’t for the pesky waste that stays around nearly forever, it would be perfect! And also if there are any aliens who want to say hi. This annoys astronomers, as detecting signals is a lot of what they do. And that’s assuming you need an Earth like planet for life. Although in that case, you’d have to explain why they don’t just effortlessly destroy us from the outside. I once used #5 in a Star Trek game, when I needed the players to send an away team down to a low-tech planet they would otherwise have avoided. Initially, they obediently stuck to the Prime Directive, until the science officer detected signs of a nuclear reactor. Bronze age civilisation with nuclear reactors!? They couldn’t resist investigating that red herring, and once they were down there, I could hook them onto the real plot. Oh man, that’s really cool. Great plot point for a trek game! This article is awesome, thanks Oren! I’ll probably use number 7 pretty soon! I absolutely loved this list. Thank you for the inspiration. I’ve just dipped my toe in the sci-fi genre and found I love it. These will definitely give me a new crop of ideas to work with. Thanks again! Glad you liked it! The Space Roar is my favorite. I am a middle school English teacher, and I LOVE this for my writing myths unit. Thanks! Glad I could help! Anything I can do to help teachers out. I’ll try not to spoil too much but The 5th Wave by Rick Yancy does have a really great example of aliens trying to destroy humanity from within. A fantastic and useful article! Well, better late than never into this party. Here’re my 50 cents. Regarding the “Great Silence” one can make a story in which we humans are the first sapient and sentient species out there in the universe since we just lived the first about 0.0135 % of the time of the stelliferous era of the universe and since some scientist think that about 95 % of all planets which will form during this epoch didn’t form yet. Let’s make mankind the “Forerunners” like in the Halo universe or like the very “First Ones” around Lorien like in Babylon5. Let’s explore the (irr)responsibilities of mankind in such a situation or make a jump into the far future and let a far future civilization of the now vastly expanded universe discover some remainders of mankind, let them learn that their merged hypergalaxy was once the local group, let them discover that the universe isn’t just their galaxy, let them discover what we humans, the earlymost birds in the realm of galactic civilizations were able to learn aboout the future fate of the universe and the future galaxy, try to explore the impact on a civilization which believed in a steady state small universe when they learn that the universe had a beginning and that it’ll have an ending. Well, so much for my 50 cents. 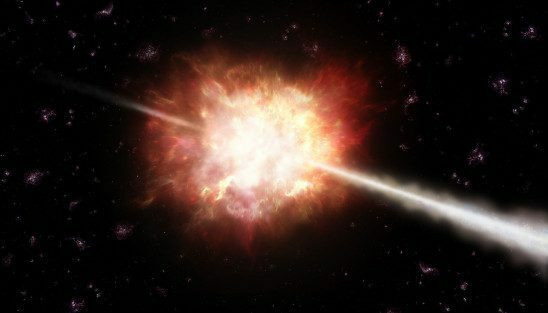 How long would a gamma ray burst on average last?